A delicious effervescent vitamin C drink, which is free from aspartame, saccharine and any other additives. Vitamin C is a great boost and can help to reduce tiredness and fatigue & can also contribute to the normal functioning of your immune and nervous systems. Take either 1000mg or 500mg to suit your daily needs - one tablet typically provides 1000mg Vitamin C. Adults and children over 13 years take ½- 1 tablet a day, or as your health professional advises. Simply add to water and enjoy a tangy orange drink that has been sweetened with fructose and stevia. Store in a cool, dry, steam-free environment out of the reach of children. Food supplements should not be used as a substitute for a varied and balanced diet and healthy lifestyle. The Higher Nature Fizzy C Effervescent Vitamin C - 20 tablets product ethics are indicated below. To learn more about these product ethics and to see related products, follow the links below. 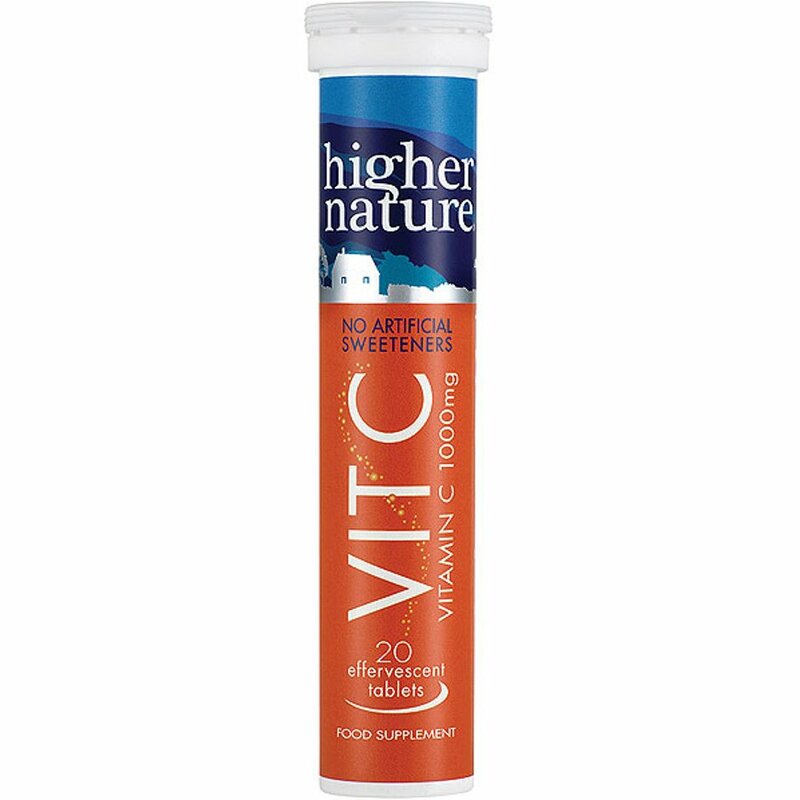 There are currently no questions to display about Higher Nature Fizzy C Effervescent Vitamin C - 20 tablets.